Salary negotiation is a critical skill that isn’t covered when veterans transition. This is a guest post from Byron Chen. Since leaving the Marine Corps, Byron’s been on a mission to pass on the most important lessons learned from other veterans who have successfully made the transition. 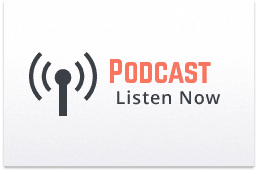 He started the podcast and blog, SuccessVets.com, a transition resource site that helps service members with their careers and lives after the military. In a Salary.com study (http://snip.ly/0wSQ), over a quarter of the people surveyed did not know the industry standard for their position. I bet this percentage is even higher if you poll recently transitioned service members. I can tell you I had no clue when I first got out. I just trusted the salary ranges on the job position postings. This ignorance is a critical mistake that can be easily corrected. There are several sites like Payscale.com, Salary.com, Glassdoor.com, and Visadoor.com, that have collected salary information from various industries and positions. I would also recommend reaching out to people in the industry for informational interviews and to have a conversation about compensation, in general. Use this information to set your expectations and goals when you do your job search. Don’t ask because you want it. Ask because you deserve it. Salary negotiations are about trading on value. Your ability to highlight the skills and experiences that you bring to a company have the most impact on negotiating better compensation according to this CareerBuilder survey (http://snip.ly/RaDS). If the compensation being offered to you is low, then you haven’t communicated how well you fill the company’s needs. Make sure when you do talk about your accomplishments and capabilities that you clearly associate which problems and job requirements those are fulfilling for your employer. Your military background can be difficult for a civilian to decipher, and the onus is on you to get them to understand where your skills fit. Don’t assume that the offer you get accounts for all the talent you bring. Provide a solution to the negotiation. Not all employers are willing to flex on salary. That doesn’t mean you are out of luck. Before your employer shuts down the negotiation, ask if they would compromise on other terms of your contract. That same CareerBuilder survey found that a majority of employers are open to offering flexible schedules, more vacation days, telecommuting, or even paying for mobile devices. Be creative! These little things can make a big difference to your quality of life and can move the negotiation forward if your employer balks on salary figures. There may be times when an employer agrees to everything you’ve negotiated but they neglect to put together a new contract or ask you to start your job before one is in place. I would caution you to at least get confirmation of all terms discussed and agreed upon in writing, even if it is only via e-mail. One friend of mine joined a company after his new boss promised him some bonuses throughout his first year at the company. Due to some quirk in the hiring process, this wasn’t documented in his original contract, but my friend was promised that it would be added later on. Unfortunately, the hiring manager was let go from the company before this could happen. It took my friend another nine months of going back and forth with HR, showing them e-mails of these commitments, before he finally got those bonuses. I wouldn’t recommend starting a job until the contract is in place. If you go to work for the President of the United States or this is a once in a lifetime opportunity like that, I’d say fine, let it go. In all other situations, be wary. Most people are afraid that if they try to negotiate, some dire consequence could occur. It’s the number one fear of people who say they never negotiate their salaries. I’ve consulted on negotiations worth over tens of thousands of dollars in compensation this past year, for friends and other veterans, and I can assure you that this is an unreasonable concern. 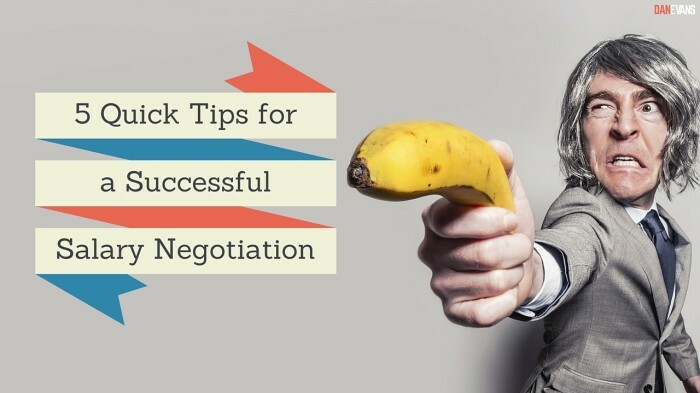 Most employers actually expect a negotiation, and budget this into their initial offers. An employer may say no to your counter, but that’s the worst of it. Be professional and courteous in your dealings and your employer will treat you the same. In the military, nobody has to negotiate their salary. Compensation is so public, you can figure out what someone makes with a quick Internet search and some back-of-the-napkin calculations. In the private sector, however, getting paid fairly and adequately for what you do is up to you. In some ways, this is scary. For someone with no experience at this, it can feel like you’re in over your head. On the other hand, it can be exhilarating. Unlike the military, you aren’t paid the same as everyone else in your peer group. You can demand, in a reasonable manner, compensation for the outstanding work that you do. It could be the most important thing you do in your career. Salary negotiation is just one skill that veterans may not be familiar with when they leave the military. But it is one that can provide you the most outsized results. It is definitely one of the ones worth learning. You can learn more about salary negotiations and find out more about my upcoming book, “Barracks To Boardrooms: Negotiating Your Salary After Serving In The Military,” on SuccessVets.com. Byron Chen is the author of, Barracks to Boardrooms: Negotiating After Serving in the Military, and the founder of SuccessVets.com, a website and podcast dedicated to helping military members with their transition. He was a Captain in the United States Marine Corps and a graduate of the United States Naval Academy. His six years of active duty included one deployment to Iraq and two company commands.